Late last year, freelance content creator Matt Mansfield distilled 151 articles projecting marketing trends for 2017 into a glorious infographic. (I love infographics!) The article even comes with instructions on how to use the infographic depending on your interests and needs. I’m glad there are marketing experts out there such as Mansfield, making sense of everything from analytics and chatbots to “ephemeral content,” but I’ll never be a Matt Mansfield. I started this blog for small businesses and non-profits operating on shoestring marketing budgets that focus on free and do-it-yourself communications. 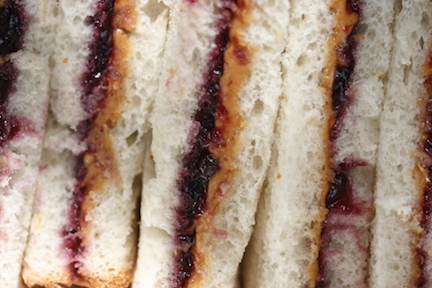 In short: I’m a peanut butter and jelly marketer. As “the” expert about your business or non-profit, and most likely the “chief marketing officer,” it’s easy to lose a straightforward message amongst your intimate knowledge of all things organizational. That is when it is necessary to take a step back, remove your CEO hat and try to think like a consumer of that message. Make your message applicable to everyone. Combine a product with a message. Make your message short and sweet. Nolan Berg, head of his own marketing consultancy, penned an equally straightforward and practical column after attending a Garth Brooks concert. I appreciated his insights. If you own a small business, or are working to sustain a vital non-profit in your community, I encourage you to get organized and develop a marketing/PR plan to communicate a positive and compelling message. I think you will be amazed to see how it takes your mission to the next level. If you need assistance, don’t hesitate to contact me. My rates are reasonable and the initial consultation is free.